Zapstep, skweee and deep eurodance are all included. If you’re of a certain age, you probably have fond memories of Ishkur’s Guide to Electronic Music. 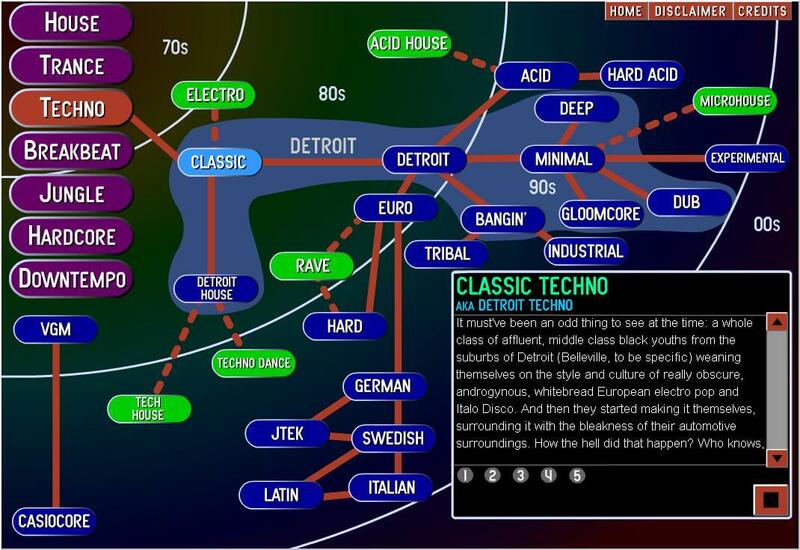 Written with a healthy dose of sarcasm, the late-’90s interactive guide was an essential primer to over 100 subgenres within the larger electronic music universe. Ishkur was revived in 2017 in an attempt to account for the sprawling new developments in club music. But even though Ishkur version 2.5 holds a warm and nostalgic place in our hearts, it surely can’t match the scale and scope of this new guide website we just came across called Every Noise at Once. The Every Noise At Once interactive genre map features a frankly absurd 2842 different styles of music, all of which can be listened to with a click of a button. Algorithmically generated based on data taken from Spotify, the map is structured like some kind of genealogical chart with genres forming clusters around shared musical or stylistic ancestry. With everything from “Swedish synth” to “neurotrance” and “turbo folk”, this is probably the most comprehensive guide to music we’ve ever come across. Check it out here. What’s the weirdest genre you can find? Remember The Internet’s Original Electronic Music Guide?